Car Mechanic Simulator 2018 – Porsche DLC is an amazing racing simulation game from Red Dot Games. Build and expand your repair service empire in this incredibly detailed and highly realistic simulation game, where attention to car detail is astonishing. Find classic, unique cars in the new Barn Find module and Junkyard module. You can even add your self-made car in the Car Editor. 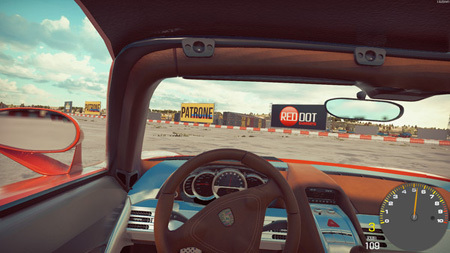 Porsche DLC includes 4 licensed Porsche cars – 1993 PORSCHE 911 Turbo S (964) 3.6, 1993 PORSCHE 911 RS America (964) 3.6, 2016 PORSCHE 911 Carrera S (991.2), and 2003 PORSCHE Carrera GT. This DLC also includes Engine tuning parts. If you get stuck in the game, check out the video walkthrough and gameplay for the game. This entry was posted in PC Games, Walkthrough and tagged Car Mechanic Simulator 2018 - Porsche DLC Cheats, Car Mechanic Simulator 2018 - Porsche DLC Game, Car Mechanic Simulator 2018 - Porsche DLC Gameplay, Car Mechanic Simulator 2018 - Porsche DLC Guide, Car Mechanic Simulator 2018 - Porsche DLC Hints, Car Mechanic Simulator 2018 - Porsche DLC Review, Car Mechanic Simulator 2018 - Porsche DLC Solutions, Car Mechanic Simulator 2018 - Porsche DLC Strategy, Car Mechanic Simulator 2018 - Porsche DLC Tips, Car Mechanic Simulator 2018 - Porsche DLC Walkthrough by Marvin. Bookmark the permalink.